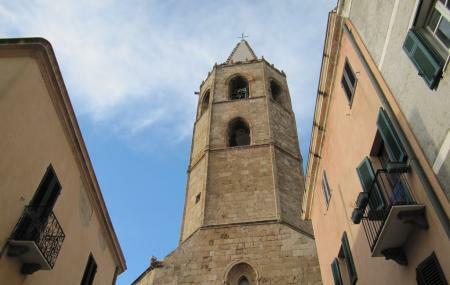 One of the most striking features of Cathedral of Santa Maria is its bell tower, known as Campanile. Around 20 meter height, the bell tower is made of sandstone, complemented with pyramidal spiral. It stands out among all the highlights of the city. The striking feature of the tower is its copper sphere with the cross, mounted on its top. The bell tower or Campanile is accessible through the gothic doorway of the cathedral. Climb up the tower, to get the best view of the city from the top. Monday to Friday: 10:30 am – 12:30 pm & 7:00 pm - 9:00 pm. Monday to Tuesday & Thursday to Friday: 10:30 am -12:30 pm. Monday to Friday: 4:00 pm – 6:00 pm. November to May: On Request. People normally club together Maria Pia Beach and Chiesa Di San Francesco while planning their visit to Campanile.